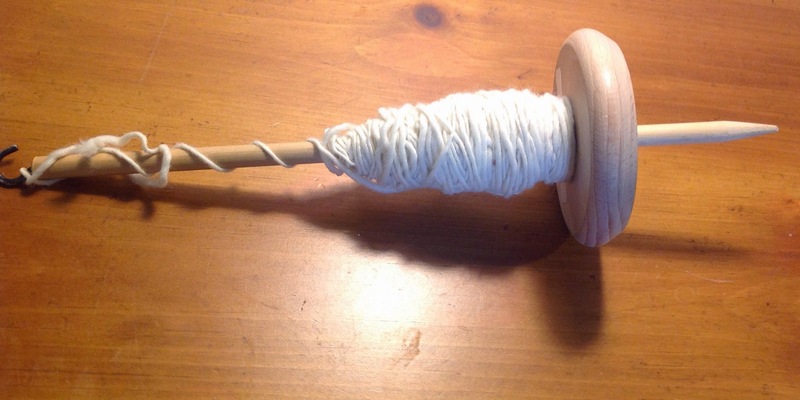 I learned to spin with a drop spindle and it is still one of my favorite tools. My biggest complaint is that I can't fit enough fiber on my drop spindle.. 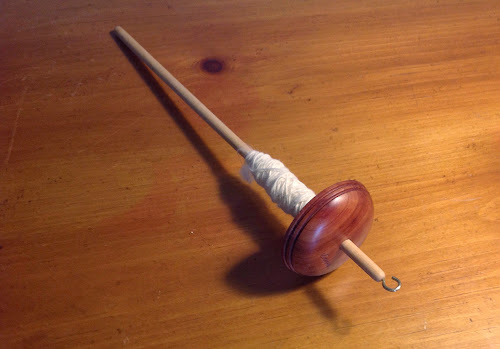 I can fit far more on a spinning wheel bobbin. I still spin with a spindle because sometimes it is so much more convenient than a wheel... And I want to keep the skill that I have developed and continue to grow it. 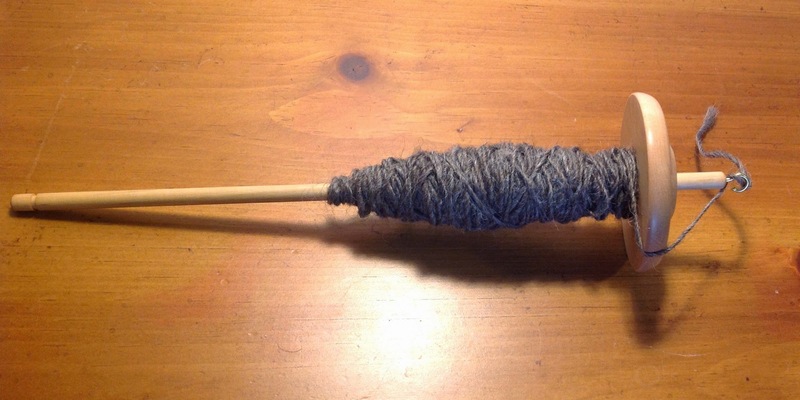 My first drop spindle was big and heavy and I spun relatively thick yarn.. At that time I could not imagine spinning with a small lightweight spindle...Now I find that there are some fibers that I absolutely cannot spin on the big spindles.. But my smaller spindles can spin everything and even cotton. If you guessed this one you are correct. 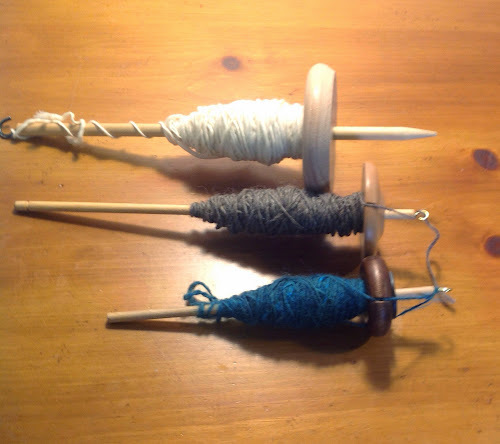 At that time I did not like top whorl spindles. (this is where the round part is at the top.). It was so much easier for me to use a bottom whorl. 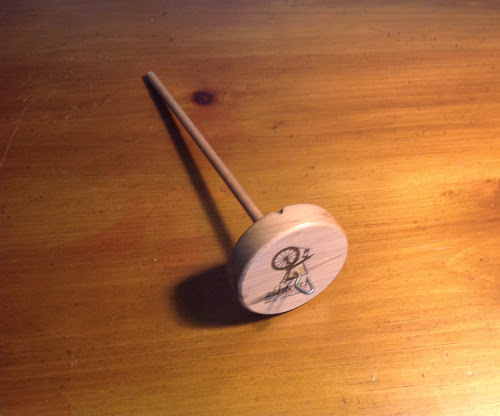 I think this was because a lot of the time I would spin it supported on the table and when you are starting a bottom whorl is so much easier for that. Also the park and draft method. When I started I would draft out then spin. Stop spinning and draft out some more.. Then spin again. This is also called park and draft. I think park and draft is much easier with a drop spindle than a wheel. You can do it with a wheel though. Here is a nice spindle..light weight but long to fit a decent amount of yarn. The one I am currently spinning with, it is almost getting too full. This one is light enough to spin cotton on.